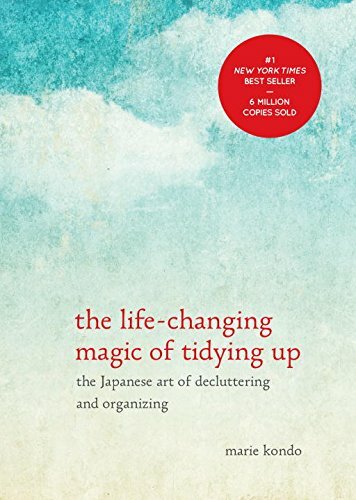 Decluttering is a big New Year's resolution for a lot of folks, and while it's not one for me personally this year, I made a big push a few years ago after reading the Life-Changing Magic of Tidying Up by Marie Kondo (and yes, it is indeed life-changing, so I'd recommend reading it if you haven't already). 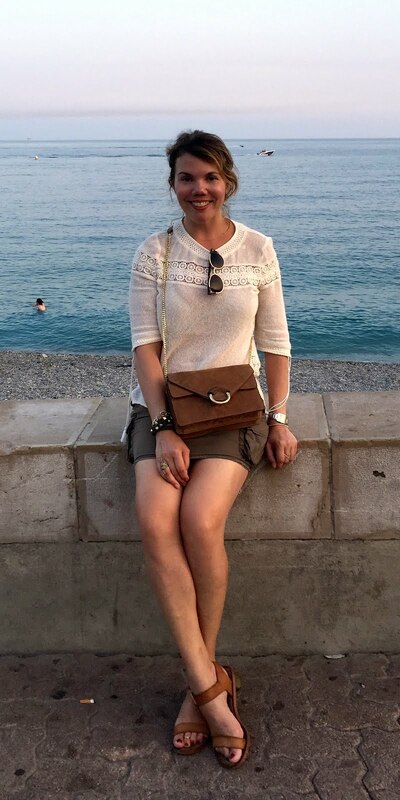 That said, I am constantly getting rid of clothes—with a name like Cheryl Shops, it goes with the territory—and while donating them all to charity is by far the most noble option, I prefer to donate cash and instead sell my gently-used clothes and accessories…so I can by new ones. Here are my favorite ways to do it. I've been consigning at The Real Real since 2008(!) and not only is it my favorite place to sell my stuff, it's one of my favorite places to shop too. Consigning is easy, and you have three ways to do it: 1) request a shipping label and send them a box of stuff; 2) have a representative come to your place to pick everything up (available in 21 cities); or 3) drop your stuff off at a consignment office. Once your items are accepted, The Real Real takes the photographs, writes the descriptions, and handles the transactions. I've found most of my items sell within a few days of hitting the site, although some do hang around for a bit and end up getting discounted. Your earnings are up to 70% of the sale price, and they get deposited directly to your checking account on the 15th of every month. If you're new to the site, first-time consigners get a $100 bonus if you sign up via this link and consign 10+ items. Or, if you just want to shop (and, believe me, I do all the time), here's $25 off your first purchase. Also worth checking out: I've never tried selling anything on Vestaire Collective, but I've bought quite a few items on there, and I've found its prices are often better than The Real Real's. Here's a code for $15 off your first order! These are some of my recent sales on The Real Real, and what I've earned. If you want to hang on to your items and handle the selling yourself, Poshmark is my favorite app. (Note: I have and always will be an avid eBay user, but I find Poshmark way more easy and convenient, for reasons I'm about to get into.) Another strategy is to send your fanciest items to The Real Real and list your Zara, Topshop, J.Crew, and so on, which is what I do. (Here's my closet, in case you'd like to help me clear it out!) I love Poshmark because it's all mobile, which is where most of my photos live anyway, and the listing process is super simple. Plus, when you make a sale, they send you a flat-rate shipping label, which you slap on a package and drop in a mailbox. (My biggest pet peeve with eBay is figuring out shipping rates. Who has a mail scale?!) For sales under $15, Poshmark charges a $2.95 fee; for sales over $15, they take 20% of the price. The buyer pays shipping costs (sometimes Poshmark runs a promo where they cover it). One thing to note about Poshmark—the app lets users make an offer on your items; the user base is very millennial, and they are NOT SHY about bargaining with you. Also very millennial: use code CHERYLSHOPS to sign up and get a $5 credit in your account! Also worth checking out: I almost took a job with Mercari, a mobile-based Japanese competitor to both Poshmark and eBay. Their user base isn't as big, but they take only 10% of the sale price. Also a great option if you find the social aspect of Poshmark too Mean Girls. Here's what's currently in my Poshmark closet—apparently I'm in the top 10% of sellers, whatever that means! ThredUP bills itself as the largest online thrift store, which is a good way to describe it. There's a lot of Ann Taylor and Banana Republic, and prices are generally on par with what you'd pay at a Thrift Town or what-have-you. Their process is also incredibly easy, in that they send you a bag, you send it back to them, and they list your items; the remainder can be sent back to you for a fee or donated to charity (of course, ThredUP takes the credit for that). The most amazing part of the process is that you earn money up front—in other words, you don't have to wait for your items to sell to be paid, unless they're on the pricier end, in which case they're sold on consignment—however, the "payouts" are extremely low. Like starting at 5% (that means ThredUP keeps up to 95%!). So think of ThredUP as the payday loan of online consignment. I have managed to find some treasures on the site, however, so here's a code for $10 off your first order. 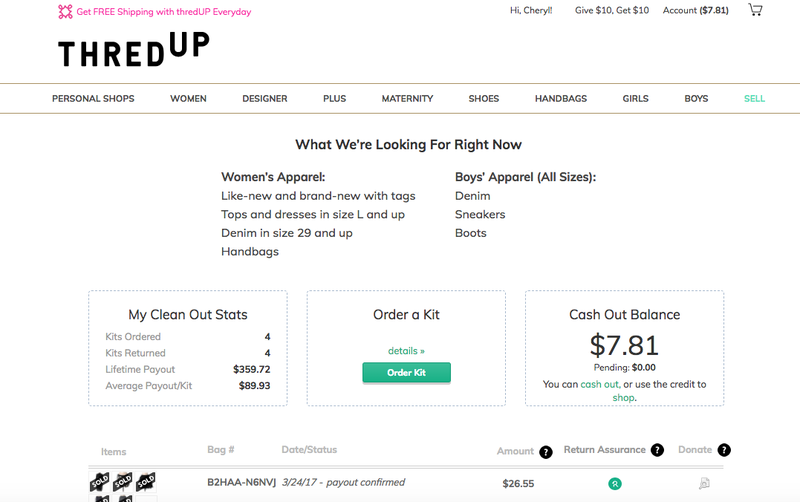 Also worth checking out: Material World is like ThredUP but for The Real Real-quality items only: you send them your items, then get cash up front to shop their site or at retailers like Nordstrom and Shopbop. I really, really wanted to like this site, but I laughed at the prices they offered for the items I sent them. I had them returned to me (this was thankfully free), then turned around and sold most of it through The Real Real and Poshmark. In writing this blog post, I discovered I had $7.81 in unused credit! Have you tried any of these online resellers? Do you have any favorites I haven't listed? Comment below! I've been wanting to try ThredUp! I am terrible in that I just drop off all of my clothes that I don't wear anymore at Goodwill. I am sure they love it when I drop off bags! Lol! I would like to get a little return investment on some things, though. I should check out these other two you mentioned as well! Great ideas here. I do not really buy many clothes nowadays, I use to love wearing new outfits when I was younger and changing them around. Thanks for sharing at the weekend blog hop. This is such a great round up! I personally use Poshmark and it's amazing! Such a great way to make some money off of things you don't wear anymore. I love to buy and sell clothes online too. And i believe this kind of apps are helpful.